It might be hard for you to imagine opening your refrigerator or pantry door and not being greeted by a variety of food options, but for 139,000 people in the Big Bend area — including 32,000 children — lack of sufficient access to food is a reality. This fact caused Second Harvest of the Big Bend and AMWAT Moving Warehousing & Storage to partner for the annual summer Fill-A-Truck initiative, which seeks to provide food to families, children and individuals in need. Tallahassee residents and businesses are encouraged to participate in the 2018 Fill-A-Truck food and fund drive, taking place now through May 10. Last year’s event resulted in 11,000 pounds of food and nearing $11,000 in donations. Pugh and Mary Dekle, director of philanthropy at Second Harvest, have high hopes of surpassing those amounts this year. 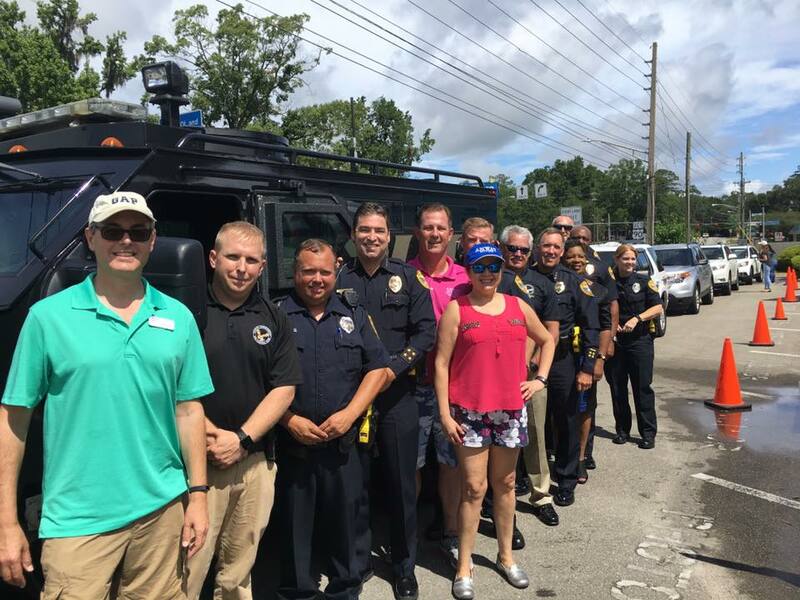 The final day of the summer Fill-A-Truck will take place May 10 at The Tallahassee Democrat office, with a weigh-in and donation count. The public is invited to come by from 11 a.m.-6 p.m. to fill AMWAT moving trucks with their donations. Those who are interested in donating to the drive can do so by dropping off non-perishable food and funds at the following locations: Aegis Business Technologies, American Commerce Bank, AMWAT Moving Warehousing & Storage, Blue Ribbon Dry Cleaners, BowStern, Coldwell Banker Hartung & Noblin, Inc., Costco, Fielder & Associates, Full Press Apparel, Inc., Gandy Printers, Junior League of Tallahassee, LeMoyne Arts, Mad Dog Construction, Magnolia Barber Shop, Mark Trafton, Armor Realty of Tallahassee, Inc., Midtown Pies, Miller’s Tree Service, OneLoanPlace.com, Prime Meridian Bank, PrimeSouth Properties, Inc., Roberts & Co. Real Estate Services, LLC, Rogers, Gunter, Vaughn Insurance, Inc., Tallahassee Board of Realtors, Tallahassee Democrat, Target Print & Mail, Thomas Howell Ferguson P.A. and Tom Paterson Insurance. To learn more about Second Harvest visit FightingHunger.org.